We specialize in every aspect of Tree Maintenance and Removal alongside our fully equipped fleet and highly trained crew. One Two Tree’s Tree Care service handles trees of all sizes in any location. We have the proper equipment and experience to trim large tree branches,maintain ornamental plants, and identify potential problems such as disease, insect infestation, and wood rot. A sense of happiness and calm arises when our home garden comes to mind. We tend to overlook the well being of our turfgrass and the stress it has to withstand. From foot traffic, erratic temperatures, and equipment a health plan for the maintenance of our turfgrass is crucial. When maintaining a turf, the three main things to keep in mind are maintenance, irrigation coverage, and finally fertilization. Please give us a call we would love to help. We specialize in integrated pest management (IPM) that handles all your South Florida pest control needs. IPM covers inspection, evaluation, monitoring, control, and the safe elimination of pests. Whether it’s your restaurant or your home, we provide professional commercial and residential pest control services that have been proven to work. Say goodbye to those pesky pests! Rodents on the rampage on your property? Don’t worry, our rodent control and extermination service works to identify the rats or mice, and the best way to get them out of your face. Keep ants from invading you home with our control and extermination service. We use the best in baits, insecticides and sealing methods to keep your home ant-free. Keep roaches away with our precise elimination and control service. We think like roaches to get rid of roaches, both inside your home and around your property. Don’t let mosquitoes take the bite out of life, keep them under control with our preventative services. We keep you safe with property assessments and scheduled spraying treatments. One Two Tree is your Miami Pest Control Company. Tired of uninvited guests in your home? Have you been working to keep your property clean, but can’t seem to control your pest problem? Protect your home and business with our Pest Control and Exterminator Services, keeping your family and customers safe from any invasive insects. Miami Pest Control is truly unique as our sub-tropical environment presents many challenges most national chain exterminators are not prepared for. Schedule an inspection throughout Dade and Broward County. Our Commercial Pest Control Solutions and Services are well known across the local areas for top quality exterminator bug control. 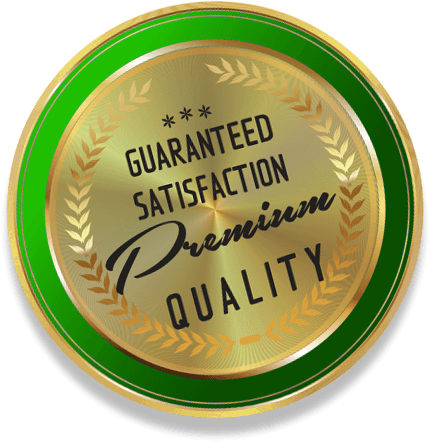 Don’t compromise quality for cheap prices that become costly in the long run as we offer a guarantee customer satisfaction. Our technicians know that you work hard to maintain your property, and you should enjoy the comforts of home without having pest problems. Call today and get a free, no strings attached estimate. At One Two Tree, we let our results do the talking. One Two Tree is your eco-friendly tree and lawn pest control company. We cater to commercial and home pest control needs. We offer free inspections and same day service (when available) to ensure client satisfaction. The reliability of our staff is our strongest trait, as we are very meticulous and passionate in our respective lines of expertise. We are dedicated to honesty, respect, commitment, hard work, and continuous training in an environmentally responsible manner. Regardless of the services we provide to our customers, we perform at the highest level to make your property as presentable as possible. At One Two Tree, our goal is to gain your trust by providing excellent service that satisfies your Tree, Lawn and Pest Control needs. We emphasize on being courteous, professional, and timely when it comes to customer service. With 30 years of experience, we have many happy customers that we can proudly call our family. We specialize in every aspect of Tree Maintenance and Removal alongside our fully equipped fleet and highly trained crew. One Two Tree’s Tree Care service handles trees of all sizes in any location. We have the proper equipment and experience to trim large tree branches, maintain ornamental plants, and identify potential problems such as disease, insect infestation, and wood rot. One Two Tree also values the need for Hurricane tree preparation. This practice is a must for South Florida homeowners, commercial businesses and contractors alike due to the frequency of stormy weather. Increase your property’s value with properly pruned trees that enhance the appearance of your landscape. Properly cared for trees allow sunlight to penetrate your turf for a healthier lawn. Leftover stump just taking space on your property? Our Green Team will pull it out of the ground, or grind it down to nothing. Need a stubborn tree removed from your property? Trust out well trained and equipped technicians to handle the job using the latest professional techniques. Use our trimming and pruning service to keep your trees healthy, well-groomed and presentable for your property. Fertilize, protect, and maintain your trees with the various formulas designed for your property’s trees. Our skills in lawn care resulted in the Miami Beach Garden Tour Winner, alongside many of South Florida’s premier landscapes. We have a proven track record when it comes to helping homes and businesses. From Granular/ Liquid Fertilization to Weed and Disease Control, we provide a carefully customized program to suit your property. Your dream lawn is a call or click away, just contact our Green Team. Our landscapes are kept healthy with an eco-friendly treatment of liquid based fertilizers. Keep your grass green, healthy, and insect free with our specially mixed formulas. Do you have problems weeding out the bad parts of your lawn? Use our weed control service that specializes in environmentally safe treatments, from mulch to herbicides. Through our aeration services, we’ll create thousands of growth pockets to catch water, air, and fertilizer and increase rooting, ensuring a more attractive, lush lawn. Take a look at some of the premier lawns of South Florida. Under our professional care, these epic yards go head to head each week. At the end of each month, we choose a winner to receive $25 off their next service.